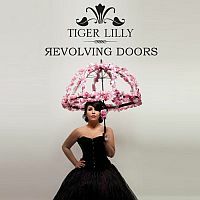 Tiger Lilly is one of a growing list of artists that I feel so privileged to have come in contact with. It has been a joy to watch and listen as she has pushed hard to develop her musical career. I addition to her most engaging and inspiring music she has at the same time been successful in establishing her ‘Tiger World’. Following on from her wonderful 2012 album ‘Memory Lane’ which offered an opportunity to enjoy a softer side, this three track EP places greater emphasis on her ‘rock chick’ credentials. Whilst her lyrics have always been intelligent and thoughtful, I sense that her confidence and maturity continue to develop. The production is excellent, but I expected nothing less! Each of the three well crafted songs stand on their own as great individual offerings whislt the trio is bound together by her distinctive and engaging vocals. In addition to the nuanced instrumentals her lyrics continue to be hopeful and challenging, such a refreshing change from much of what is routinely churned out by syndicated commercial radio and found in the charts. 1/ Silence Is Golden – an upbeat rocker, with edgy lyrics analyses a struggling relationship and is presented with a determined ‘I Will Survive’ attitude. 2/ Throw Me A Line – a slower tempo song which seeks answers without much in the way of a positive response. 3/ Walk A Mile – acoustic and slower still, this is plea for understanding; in a world of great diversity it is important to retain your own identity whilst recognising the we all have our own perspective and shouldn’t rush to impose our judgements on others. “Do not judge me, I bleed just like you do. My skin may be different, but I’m just the same as you. Tiger Lilly’s voice is so well suited to such bitter-sweet lyrical content, and is such a pleasure to hear. I sense that these three songs will be fighting each other for places in future playlists in my radio shows - they are each special in their own different ways. I sense an ‘edgier’ attitude in both voice and lyrics, and that’s definitely not a complaint, it simply shows progress and development. Good as ‘Memory Lane’ and ‘Reflections’ (her first album) are she is clearly determined not to get ‘stuck in a rut’. In common with the best, she manages to retain her distinctive style and sound whilst exploring and blossoming, much as the blooms in the album cover shot.